We’re now just weeks away from the possible launch of Samsung’s next flagship smartphone – the Samsung Galaxy S9. 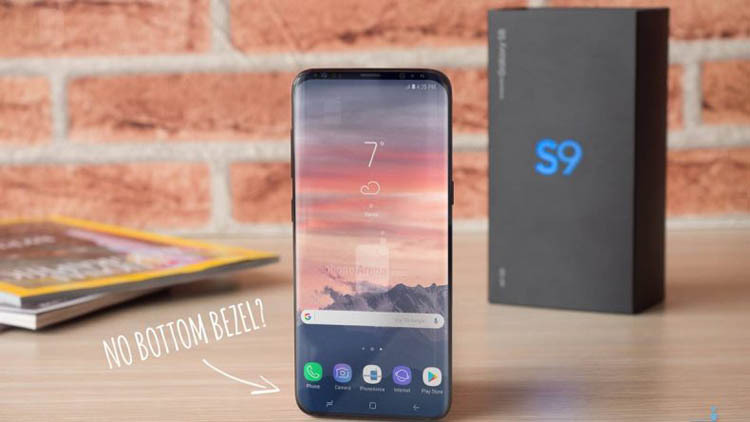 The Samsung Galaxy S9 is a long-rumoured successor to last year’s hugely popular Galaxy S8. It’s a flagship phone that’s expected to arrive in early 2018, boasting blisteringly fast hardware. For design, we’re expecting to see similar styling to last year’s Galaxy S8. That means an all-screen front with an even slimmer bezel – Samsung calls it the ‘Infinity Display’. Rumours from industry sources suggest that the same 5.8-inch Super AMOLED screen will be retained too, with its quirky 18.5:9 aspect ratio to boot. The end result could be a slim, space-age phone with an incredible 90% screen-to-body ratio – up from 84% on the Galaxy S8. The South Korean tech giant is developing a camera that can shoot video at 1,000 frames per second, which would trump the competition. For comparison, Apple’s new iPhone X only shoots slow-mo video at 240 frames per second. Performance is probably going to be great too. The phone is likely to use Samsung’s own Exynos 9810 processor, or Qualcomm’s similarly powerful Snapdragon 845 – also built by Samsung. The Snapdragon 845 is an octa-core chip running at 2.8GHz, and is said to offer a 30% performance boost over its predecessor. We won’t know official pricing for a while, but it’s fair to say that the Samsung Galaxy S9 and Galaxy S9 Plus will probably be very expensive. Last year’s Galaxy S8 Plus started at a very lofty £689, which was a big leap upwards from the £569 price tag of the Galaxy S7. However, Samsung’s pricing is more in line with rivals – the iPhone 8 costs £699. But the high-end iPhone X is still far ahead at £999 for the base model.